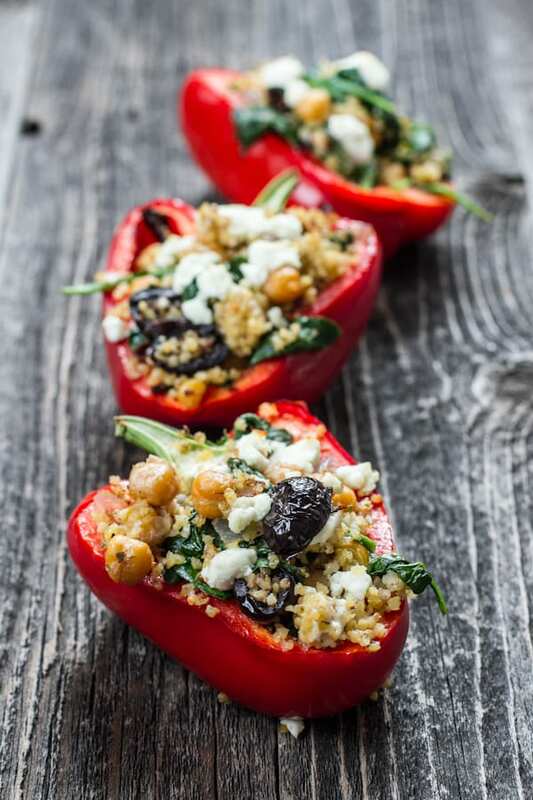 Loading up bell peppers with quinoa, meat and other delicious ingredients is a great way to create a meal that’s filling, flavorful and healthy. 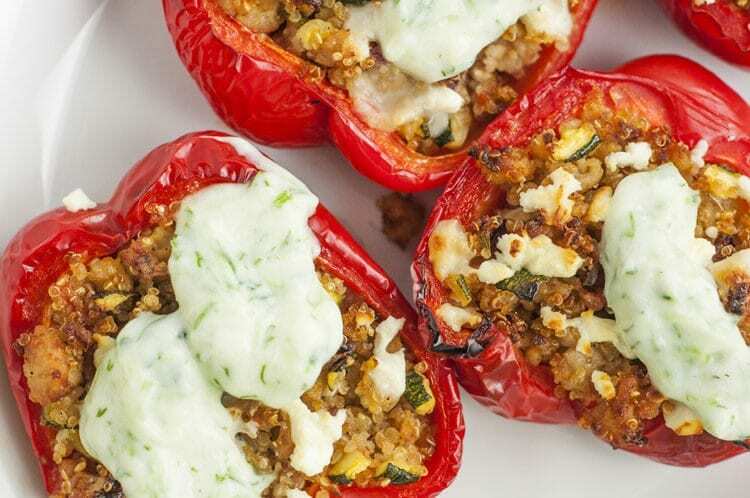 So, your family is bound to love this version of Greek stuffed peppers that comes with its own homemade tzatziki sauce. It’s similar to a gyro — except for the fact that there’s a low-carb pepper in the place of that pita, and that’s a win-win as far as weeknight dinners are concerned. Especially if you’re looking for a way to try out the oh-so popular Mediterranean way of healthy eating — which involves choosing whole grains, plenty of veggies and beans and lentils over poultry as a source of protein — you’re going to want to ease into it by making this Greek-inspired dish. A recipe from Skinny Ms. calls for ground turkey, quinoa, zucchini, spices and fat-free feta cheese. These ingredients will find their way inside of six hulled out bell peppers and ultimately be topped with a tangy tzatziki sauce made using Greek yogurt, cucumber, dill and lemon juice. Who could resist that deliciousness? If ground turkey isn’t your thing, a recipe from Chaos In The Kitchen suggests using lamb, which would be more true to the Greek-American-style gyro you’re likely used to. This version also calls for spinach, diced tomatoes and pine nuts for added crunch. 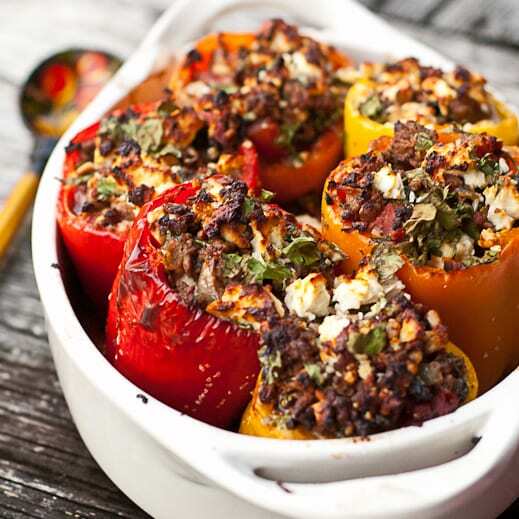 Once the mixture’s combined and stuffed inside hollowed bell peppers, you’ll bake it up for about 40 minutes to yield perfectly roasted peppers and golden brown cheese. For even more Mediterranean flair, a recipe from Edible Perspective uses chick peas and Kalamata olives. The recipe is also meatless, so it’s chock full of delicious veggies such as sun-dried tomatoes and spinach. While the lamb and veggie versions of this dish don’t call for tzatziki sauce, we’d definitely recommend following along with the Skinny Ms. recipe for the sauce so you can drizzle it on top of any of the pepper dishes you decide to make. There’s no going wrong with an extra bit of tangy flavor and a nod to Greek cuisine. And once you’ve got a batch of the sauce made, you can use it to top off meals all week long — everything from sliders to Greek salads and more. Consider this your next healthy and tasty dinner option on a busy weeknight!